Lake Wicwas went from looking like October to looking like November in one fell swoop when Hurricane Sandy blew through. 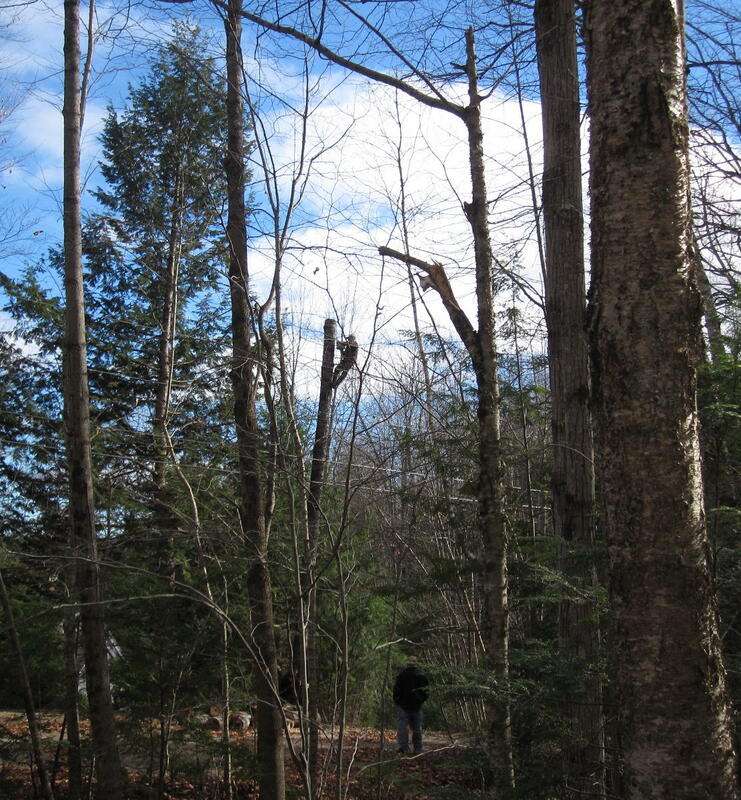 She didn't cause any significant damage, but she did strip all the remaining leaves off the trees. There were lots of branches and a few trees blown down, but not nearly as many as in the July 4th storm. 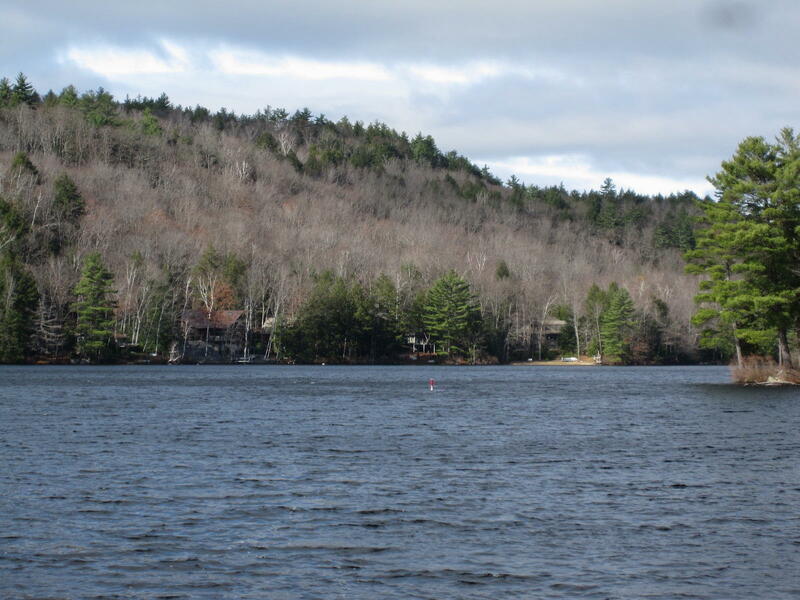 We now have a distinctly November look around the lake. 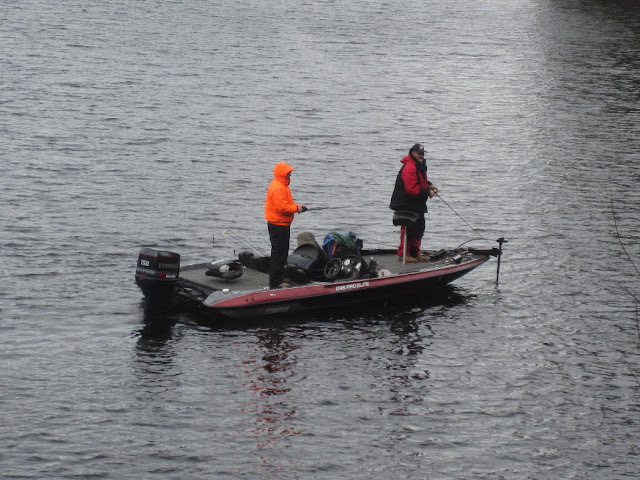 The large animals around Lake Wicwas are pretty active this time of year. Two good-size Black Bears were spotted playing together about 200 feet from the lake. 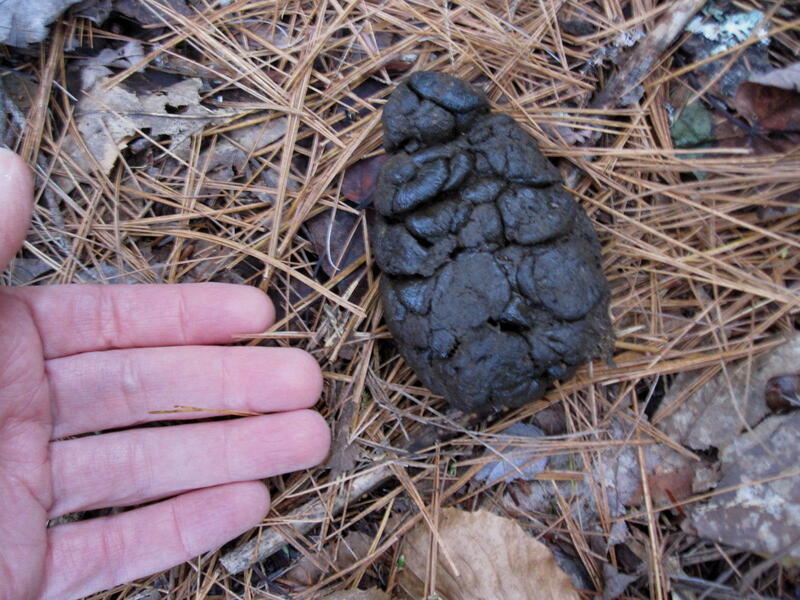 They weren't full sized yet, but may be last year's cubs, now off on their own after being sent away by mother. There are also many signs of the fall rut taking place, with the White Tail Deer mating season almost here. 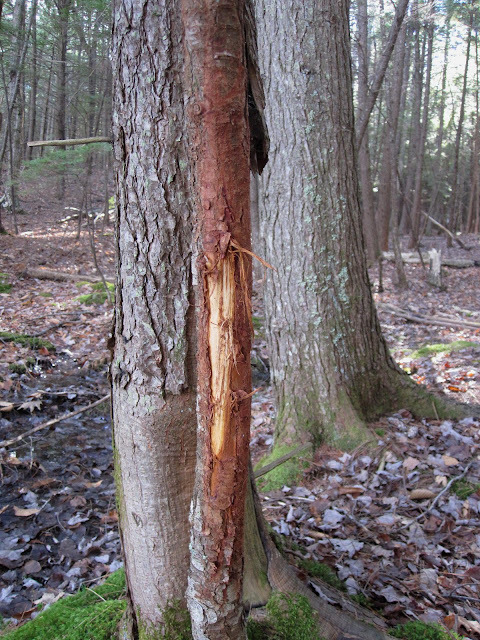 The bucks are scenting their territory, both through "antler rubs" and "scrapes". 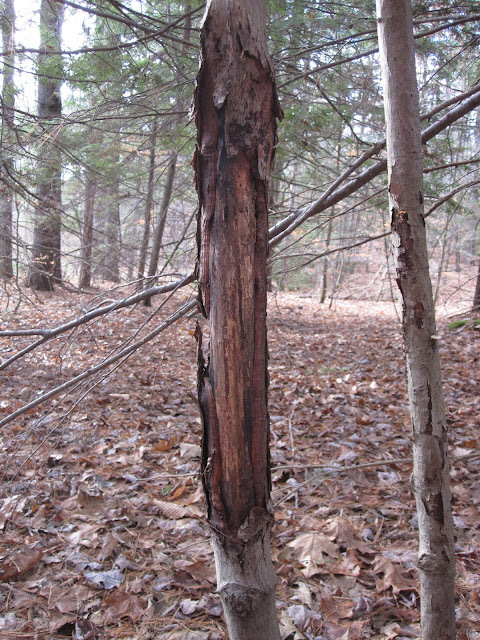 Rubs are found on small trees, usually about 2 inches in diameter, where they have rubbed their antlers on the trunks, wearing off the bark. 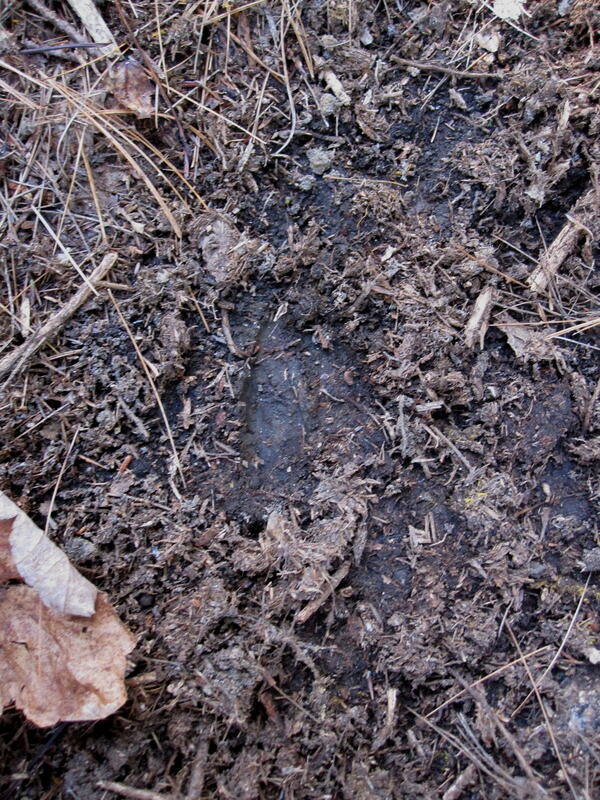 This rub is from a prior year, but it was right next to a scrape just made today, showing that deer use the same trails year after year. The "velvet" on the deer antlers leaves a scent on the tree to inform does and other bucks of its presence. 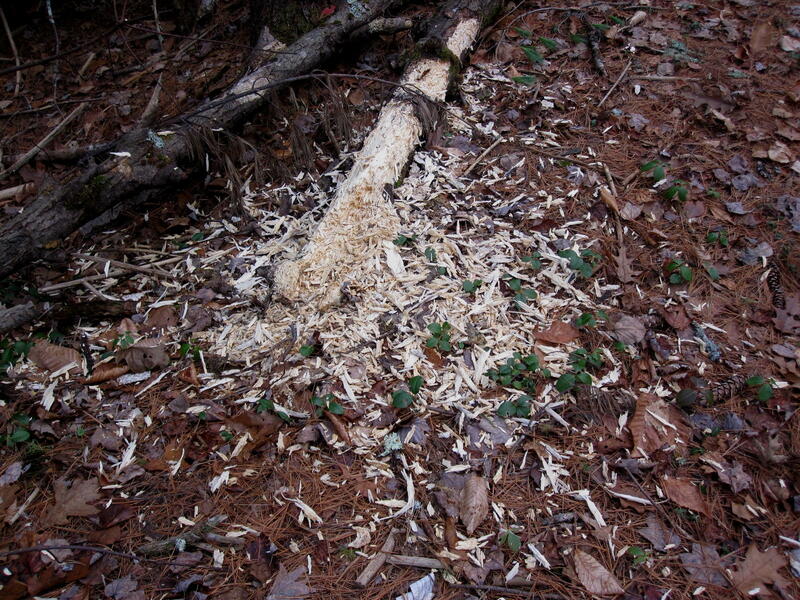 The rub above is on a beech tree, but they also often use hemlock which is aromatic and adds to the scenting. 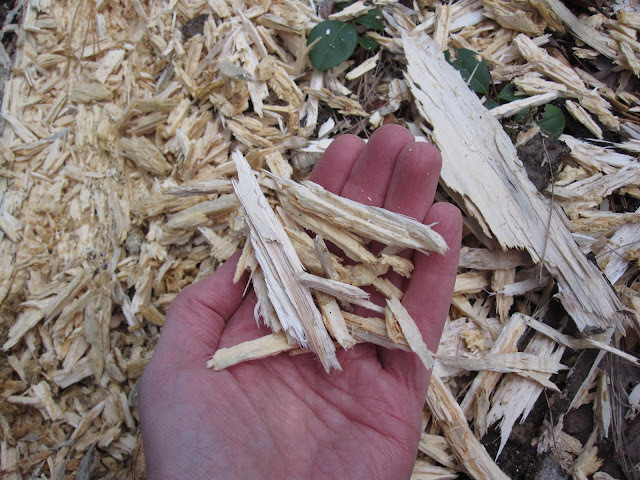 This hemlock rub below is fresh, and the smell was quite strong. 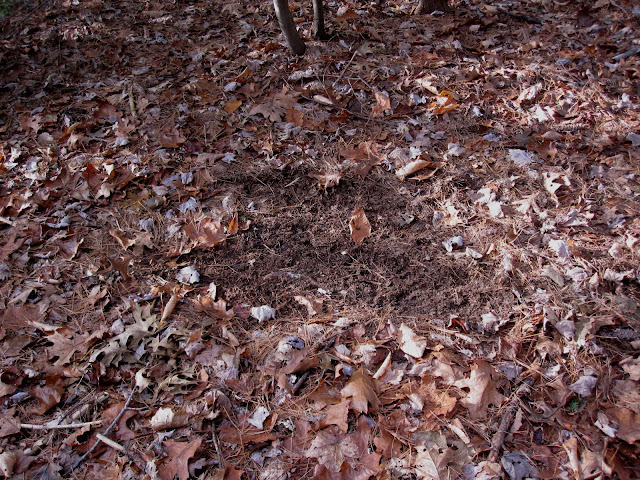 Scrapes are formed when a buck digs at the ground with its hooves, throwing leaves and debris several feet from the spot. He then scents the fresh soil with his glands and urine. 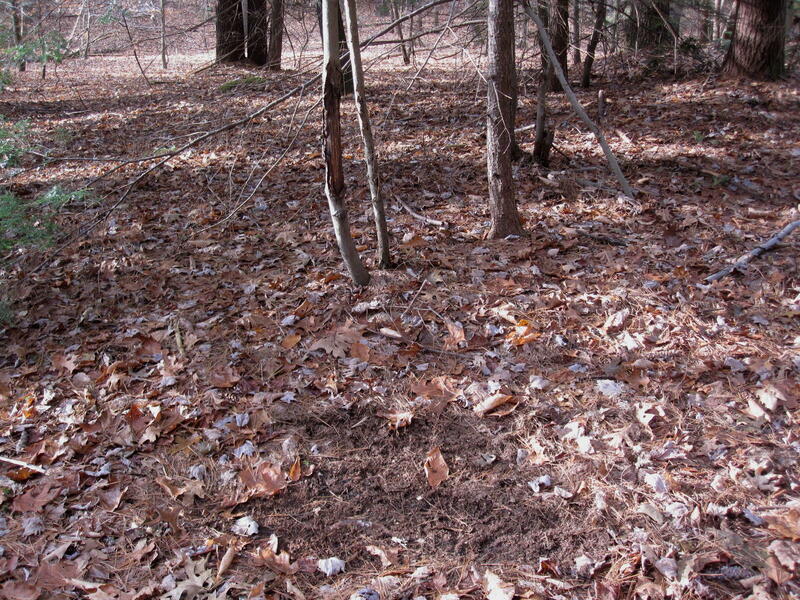 This picture shows the proximity of the scrape to the rub shown above on the beech tree. 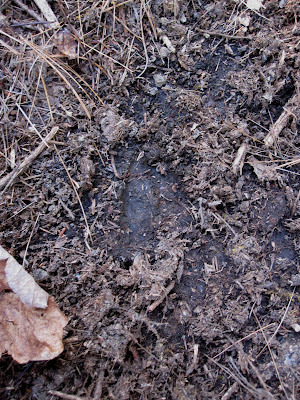 There are a couple of tiny hoof prints in the fresh soil, indicating a smaller animal has been by to investigate, just as the buck intended. 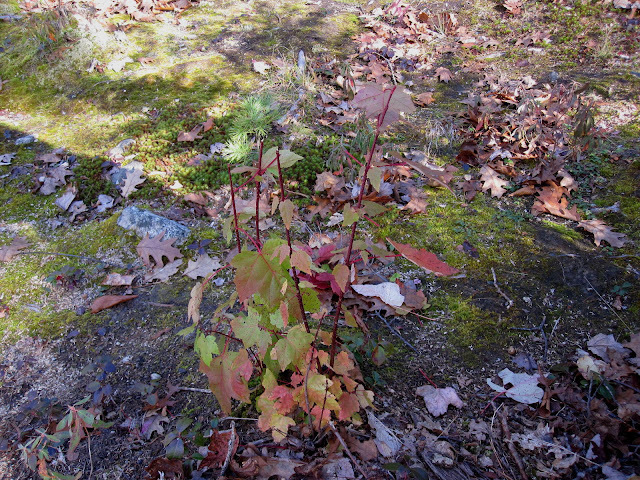 Another sign of deer was a small maple tree that has been putting out late "stump-shoots" on which a deer had been browsing, no doubt delighted to find some tender young leaves at this time of year. The duck migration from the north continues, with more large flocks of wood duck congregating in the evenings. Signs of another bird - the Pileated Woodpecker - are found around dead trees, either standing snags or fallen on the ground. I came across an unusual sight on the west side of the lake on Sunday: Someone hanging on the top of a tree with a chain saw in hand. 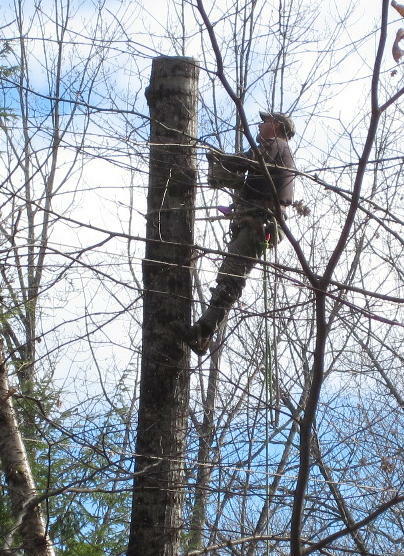 It looks like dangerous work, but it's the only way to take down a tree that's close to a house or power lines without the use of a crane. It's a time of year when there's not much human activity on the lake, save a few late-fall fishermen.